Bryan and Shannon Miles are determined to help you grow your business with the help of bringing freelancers on board to achieve your goals. This power husband and wife team are today’s starting QB and wide receiver and they will prove that the way we work today is just plain different than it was ten years ago. Bryan Miles can’t sit still. He is an entrepreneur, backpacker, mountain climber, writer, husband, and father. In addition, he’s the CEO and Co-Founder of BELAY, a premium staffing company serving businesses all over the U.S. He and his wife, Shannon, are proud co-owners. Creating and fostering a healthy culture has always been close to Bryan’s heart. 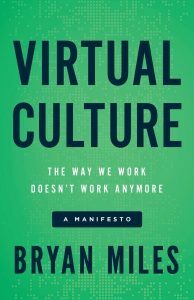 He has written about it for years and has put all of his thoughts into his second book, Virtual Culture: The Way We Work Doesn’t Work Anymore. Bryan loves to mentor other entrepreneurs and small business owners to reach their full potential, sitting on the board of Radical Mentoring and two other organizations. Welcome to the show Bryan. Shannon’s passion, in addition to helping others realize the freedom they receive from delegating, is to bring to light the challenges women face in the workplace. From finding the courage to ask your boss for a flexible schedule, to deciding if there is an option for you outside 100% full-time onsite office work and a 100% full-time stay at home mom. 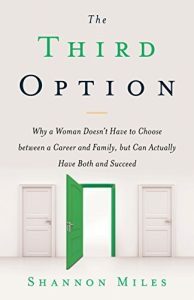 Shannon has walked the walk and is here to lead other women on the journey to find their own Third Option – which happens to be the title to her book. Welcome to the show, Shannon. Bryan Miles Co-CEO role is building deeper networking relationships with strategic partners, guiding the COO and CFO. Shannon Miles Co-CEO role is on the operational and empowerment sides of their business. She represents Belay in the marketplace and speaks at different events. In this episode, we learn about how Tim Ferris’s book, Four-Hour Work Week brought the idea of this virtual assistants businesses to life for Bryan and Shannon. They realized no one was executing on the idea of matching virtual assistants with businesses and knew something could be improved. With Bryan’s past experience with his company using a virtual assistant, it was no brainer! 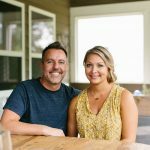 Bryan and Shannon talk about their lives before their business, what they were doing, and how they started the business idea that would later grow into a team of 60 corporate team members! We get to hear their thoughts about what it’s like working together (husband and wife) and what challenges they face, how they’ve switched roles and positions in their company, how they gain wisdom and advice from mentors and savvy business people in Atlanta and how they formed a business based off of delegation, what their process is for gaining talent on their team, and what sort of vision they have for their business. Bryan shares some details about his talent pool, such as the average hourly rate, what type of hours are expected and what is expected of them and their duties. Make sure to give this episode a listen!